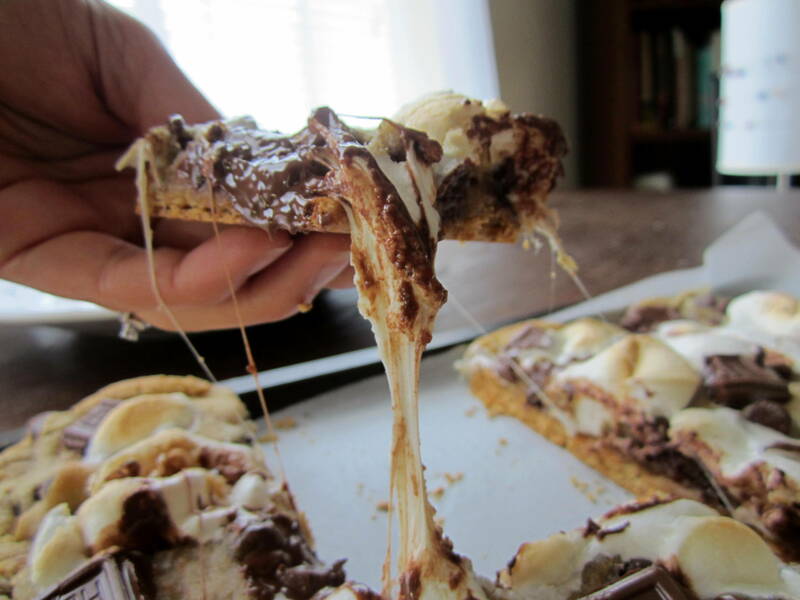 S’mores pretty much have the ooey gooey dessert genre on lock. Few treats come close to this level of oozing decadence. 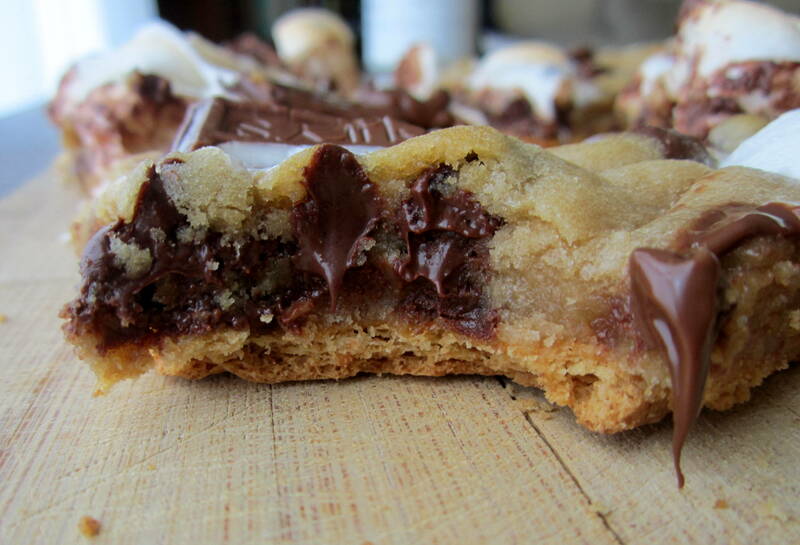 When something is that delicious the obvious next step is to shove it in a cookie…right? …maybe not… but we’re doing it anyway…and it’s going to be delicious. If you’re gonna do this, there are some pitfalls to avoid. Believe it or not, there is such a thing as a disappointing batch of s’mores cookies. 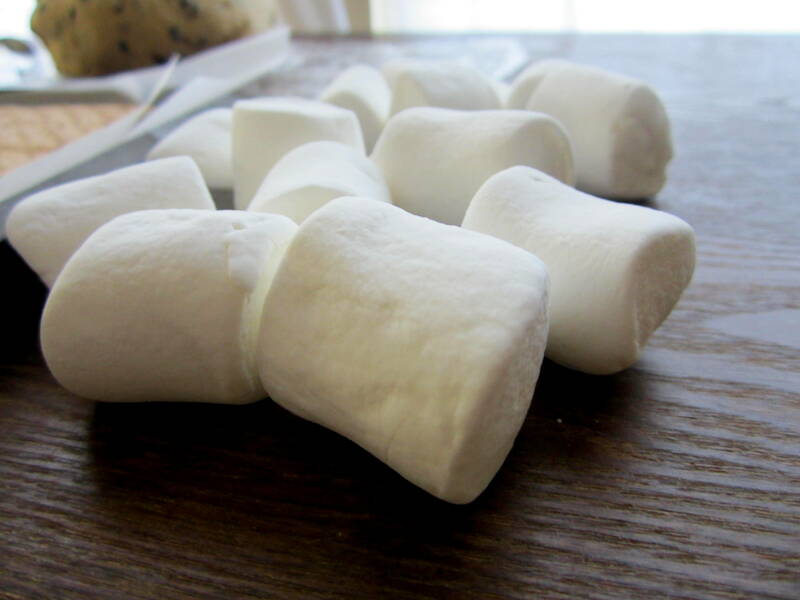 or maybe the marshmallows just melt and disappear into the dough. Or maybe the baker (mistakenly!) thought the chocolate chips rendered the milk chocolate bar unnecessary. 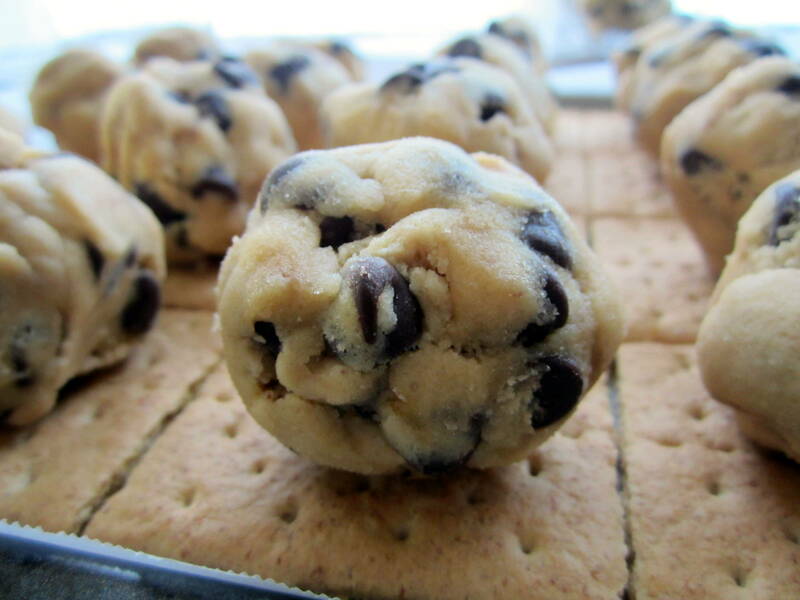 Without the graham, the ‘mallow or the chocolate bar-you’re basically just eating a chocolate chip cookie. 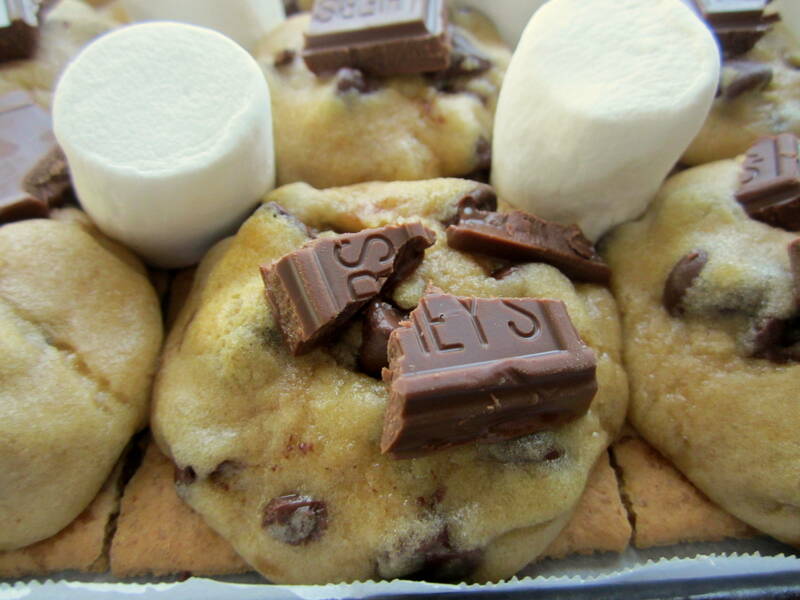 But let’s make s’mores cookies. For real. A thick soft cookie layer. 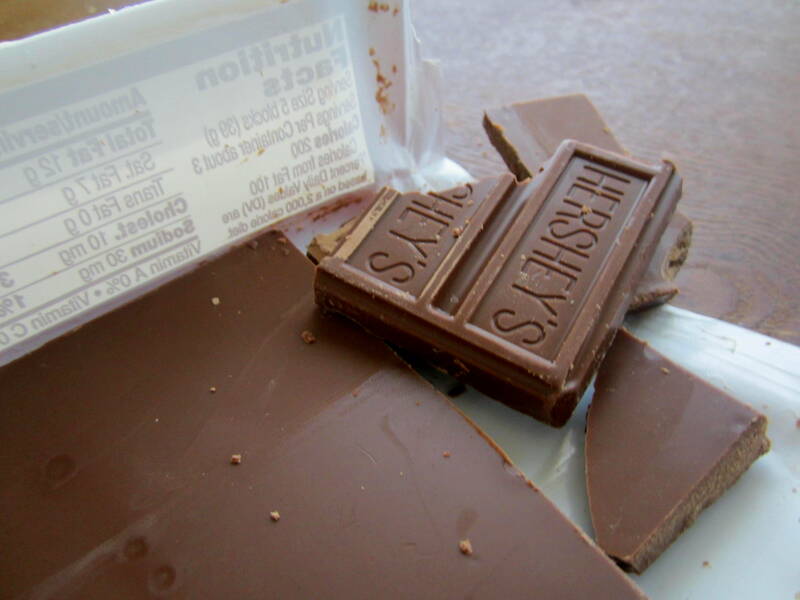 and an actual chocolate bar. 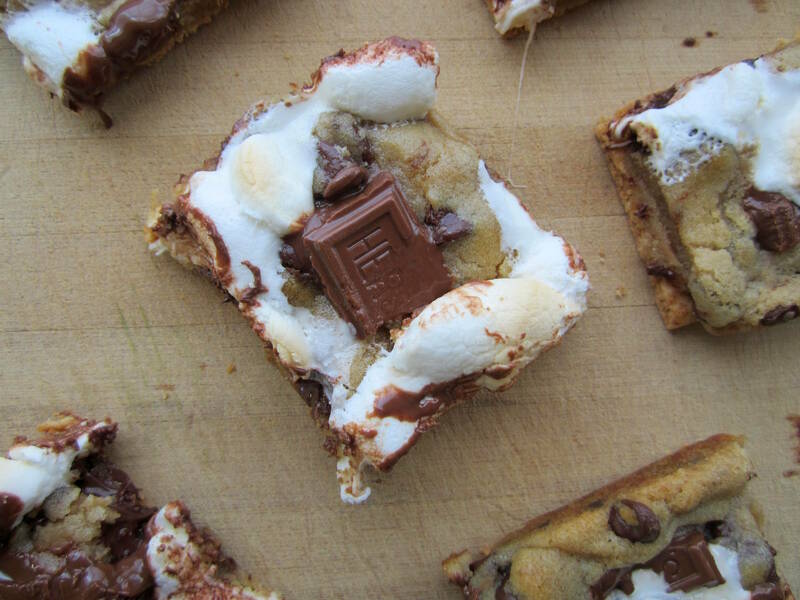 All the gooey, melty, drippy deliciousness of a s’more..
…in a cute little square. So this isn’t really a recipe. 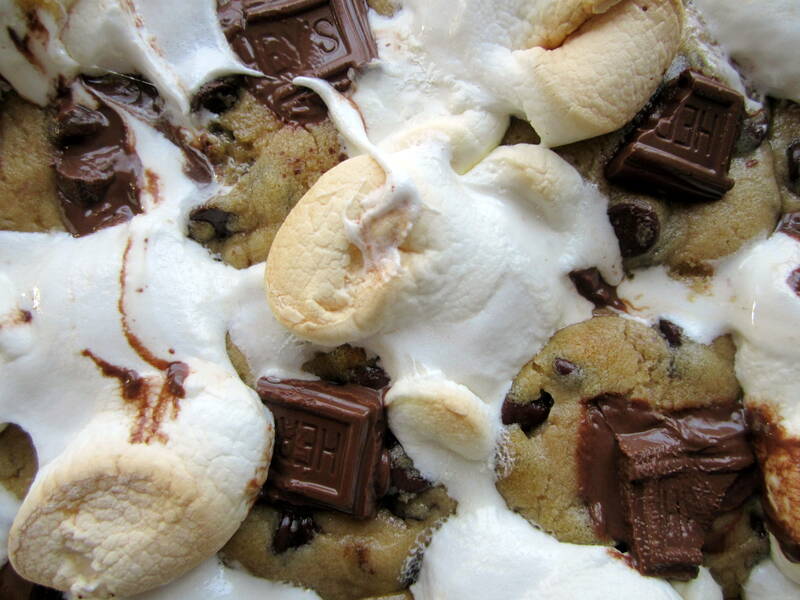 It’s more like an idea to make s’mores cookies better. *Note: The above measurements are for the recipe I linked. If your favorite cookie recipes yields more or less than mine, you may need more or less of everything else. Adjust to suit. Preheat the oven to 350 degrees F and line a cookie sheet with parchment paper. This works best if you cookie sheet has walls like mine. You could also put everything in a sheet cake pan. Whip up a batch of your favorite cookie recipe. Don’t bake them yet, speed racer, just make the dough. Chill the dough overnight. 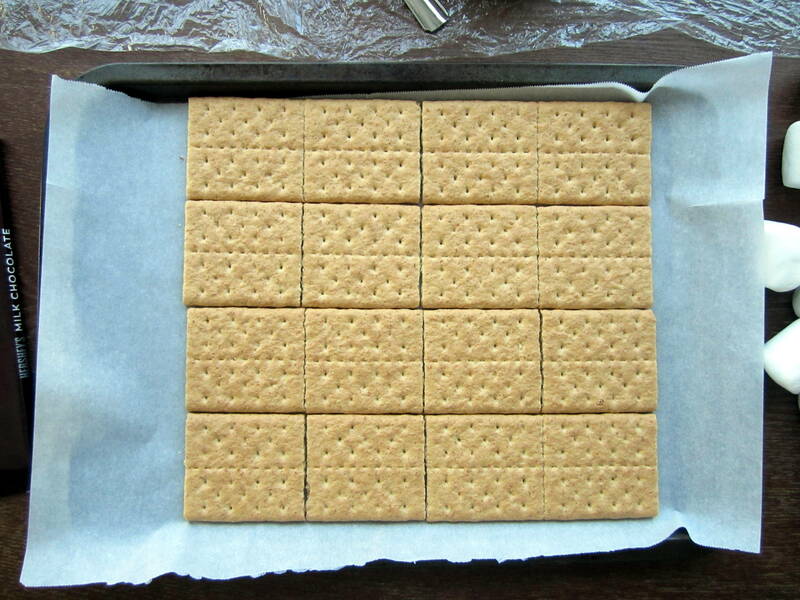 Break the graham crackers in half so you have 16 squares. Lay them in your pan in a single layer. Leave no space in between, you want them to touch. Spoon large portions of cookie dough onto each square. 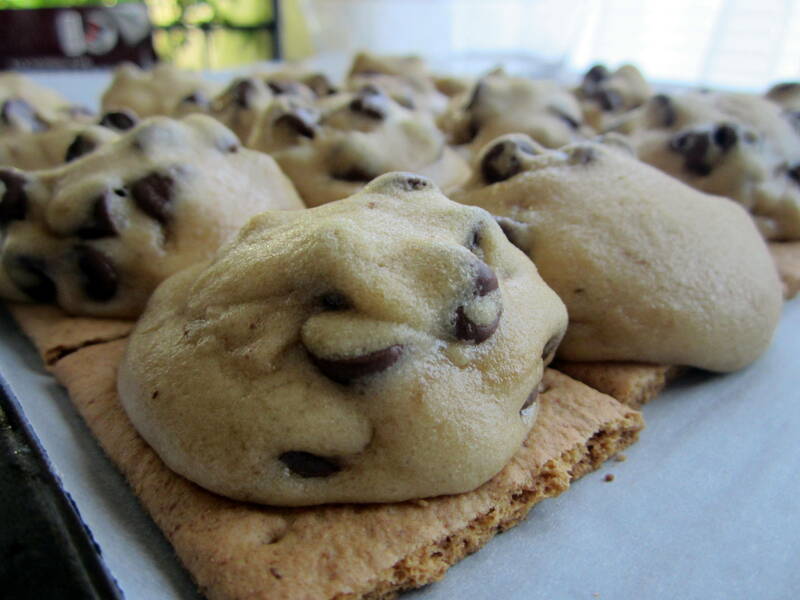 Mine were about 1 1/2 – 2 tablespoons each because I wanted a fairly thick cookie layer. 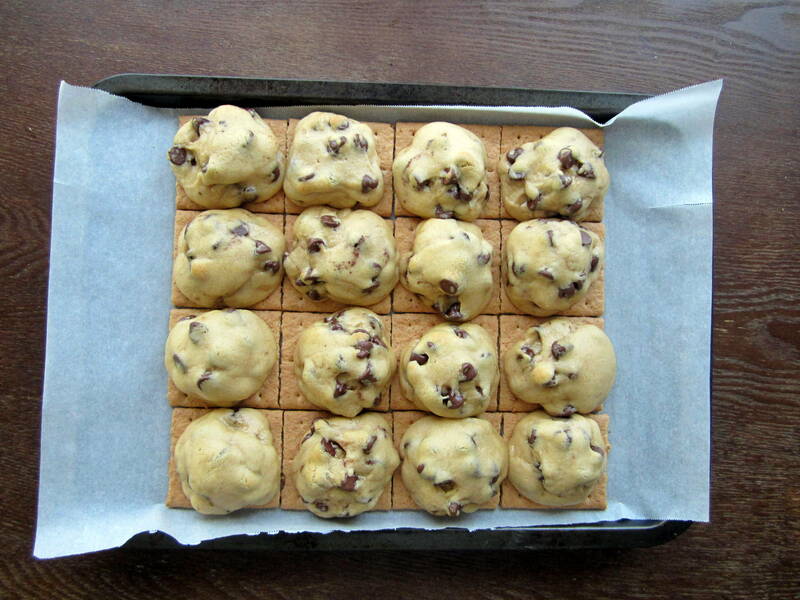 Less dough will yield a thinner cookie layer…duh. Bake 5-6 minutes and remove from the oven. The cookies should not be finished baking but they should be starting to spread. 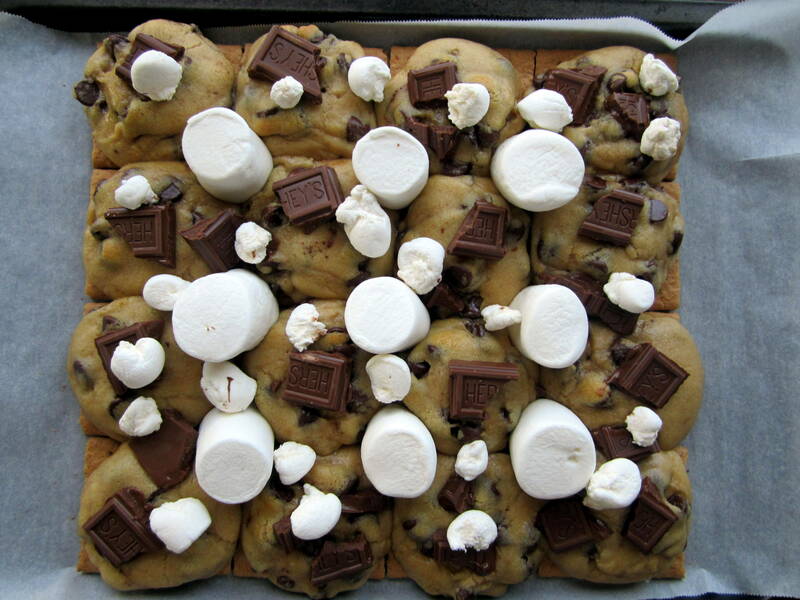 Distribute the marshmallows and chocolate pieces evenly among the cookies. Bake for another 4-6 minutes (depending on the thickness of your cookies) or until the edges start to brown and the centers set. The marshmallows should be melted and hopefully a little toasty! Allow to cool completely before attempting to cut these bad boys. They’ll be much easier to manage. 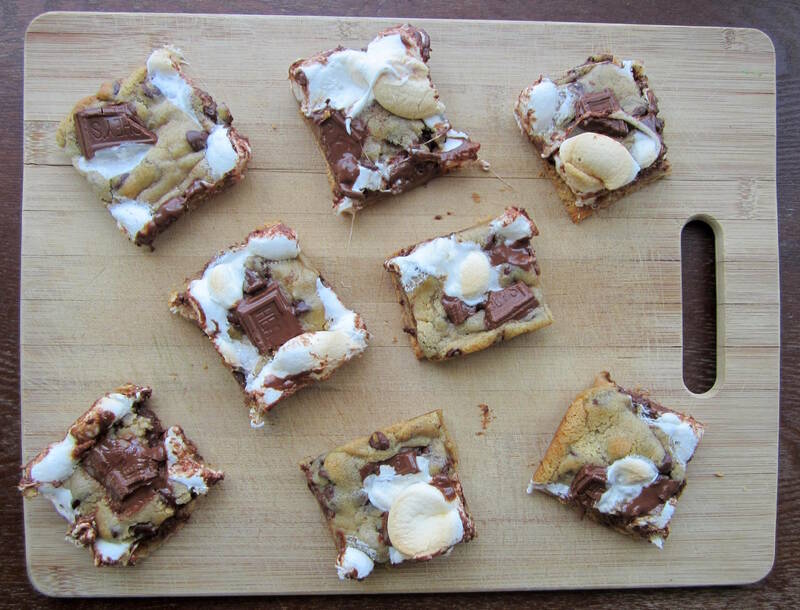 Your cookie bars look absolutely insanely wonderful!!!! WOW! I would love one right now! Thanks for saying you used my recipe and linking up – I appreciate it! I love the recipe as well for super soft cookies. And yours look incredibly soft and amazing! Absolutely..Thank you for the amazing cookie recipe! I use it all the time! Thanks for checking out what I did with them! Ellen, seriously. Seriously. How dare you make this delicious-looking recipe. Now I must try it myself Haha.